Cloud Computing has literally changed the way how IT organisations work. But data security and privacy are the main concerns among user organisations and cloud service providers. 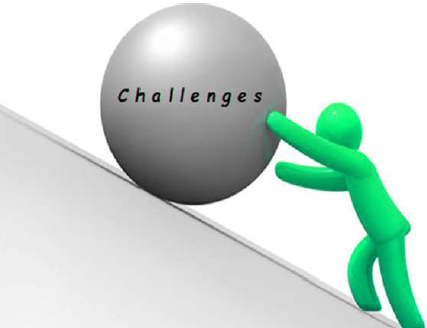 Along with agility and efficiency new challenges also arise. Organisations are now faced with rationalising their move to the cloud, balancing its advantages and barriers as they chart the course of their cloud journey. Here are a list of major data protection challenges enterprises may face while embracing cloud. This article talks about how you can solve those challenges so that you can realise the full potential of your next cloud project. Data security challenges: Embracing the cloud means you are completely surrendering your sensitive data to a third party. This can sometime put an organisation into great risk. For the time being we cannot completely say our data is absolutely safe in the cloud. So security of the cloud is a conflicting topic for most enterprises. Solution: While using cloud, the first thing you should do is to define the level of privacy you need and thus a level of protection for it. Data can be successfully protected through certain proper steps. The key is to find the right vendor. Choose the most reliable service provider; in their hands your data is absolutely safe. It is better to avail the service of a cloud provider who use local encryption and decryption of your files in addition to storage and backup. Also be sure to select a solution that will encrypt data without slowing backups or the options that will embed encryption capabilities so that they can be applied selectively based on policies. Reliability Challenges: Though the cloud market is rapidly maturing, news of outage and failures still pop up giving rise to reliability concerns. It is still not sure that your data is reliability retained and available in the cloud. Reducing backup time: The more data to protect, the more time and bandwidth is needed to backup. Many organisations do not have the ability to offer an ‘overnight’ window where application may be slower or unavailable. Solution: Choose better compression and deduplication solution that reduce storage needs. Data protection application should demand a global deduplications that will reduce backup windows and storage requirements. Protecting data from both physical and virtual infrastructures: Few businesses have virtualized 100% of their datacenter servers. It would be good if they have achieved 100% virtualization. But if enterprises adopt a specialized backup product, it can’t backup physical servers. Also, many virtualization specific backup products don’t offer complete, or even any, support for sending backup data offsite using tapes. This has left too many companies with an inefficient backup posture. Solution: There should be a centralized backup management console and repository, regardless of the server being protected. Additionally, data protection tools should provide enterprises a variety of offsite storage options including tape storage, cloud storage, disk storage, or replication to another data center site. Applications are not cloud ready: Currently most of the applications are not cloud friendly. They need to be designed to optimize band width and deliver optimized performances so that workloads can be efficiently offloaded to the cloud when needed. You can’t avail 100% efficiency of cloud infrastructure if the applications are not optimized for cloud operation. With the best security practices, enhanced application with cloud enabled data protection and joining hands with trusted partners that deliver a unified approach can reap best results in your cloud data protection. Insight Consultants already successful in integrating cloud services and offers successful cloud enabled services to our clients. We follow a structured approach to establish our client’s business needs, assess the underlying technology components like infrastructure, application, processes, policies etc and then deploy the appropriate cloud computing components. We were also successful in analyzing current state to identify opportunities for leveraging cloud computing, assess and recommend the optimal cloud orchestration solution set, migrate cloud ready applications and data to cloud environment, management of IaaS, PaaS, and SaaS components, managed services for a cloud environment etc. For best output we do the required changes across people, process and technology, and accelerate the transformation of IT to an on demand, service-oriented environment. Do Contact Us to know more about our cloud services. What are the major cloud migration challenges that SME face? Cloud computing has become the buzz of this century and business of all size are already benefiting from it. But there can be problems if cloud solutions are not implemented properly. In this article let’s check out what the major cloud migration challenges that small businesses face and how to solve those problems. As more and more businesses seek to maximize their IT return on investment (ROI), cloud services are playing an increasingly important role. Adopting cloud can enable your small business, not just saving money but at the same time you will be able to afford technology and compete with top companies. Major cloud migration challenges and how to solve it? 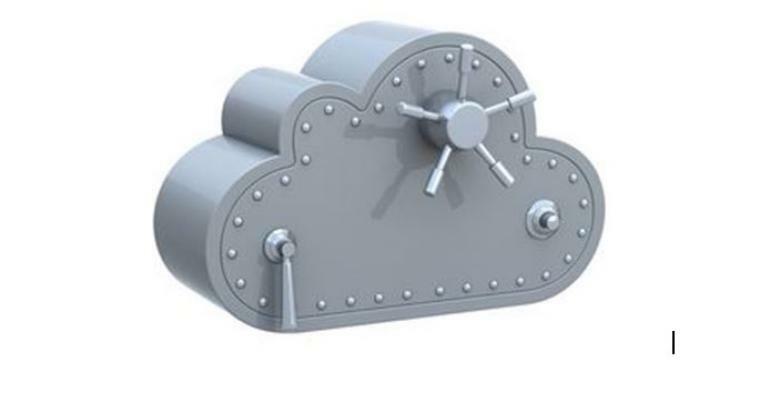 Cloud security: The biggest issue in the current IT industry is of security. When you are migrating business to cloud, you have to move sensitive data from your computers to the cloud. During this transition period, special attention is needed. Since public clouds are multi-tenant, your application could be affected by the vulnerabilities or defects of your neighbours’ code. You must ensure that you understand the underlying infrastructure of the cloud to which you migrate. Migration of data from existing server to the cloud server is a pain staking task and requires ample skill to handle and mange things. Device management: Device management is another often overlooked cloud migration challenge that many businesses face. In the emerging culture of BYOD, it is easy to have company with device sprawl, where there are as many different devices as there are people. But SMEs lack enough technology support to take care of different devices and applications properly. A large portion is probably going un-managed. Solution: Securing mobile devices with encryption or data wiping to prevent thieves from accessing sensitive business data. Rely on a cloud service provider to cover enterprise mobility management. Disaster Recovery: Though Cloud applications are, for the most part, much more resilient to failure or data corruption, they don’t remove the most common source of data loss – humans. Small and medium sized businesses, accustomed to protecting inventory or paper records, are expected to invest more in “resilience and backup”. Solution : Use encrypted file systems – Usually whenever data is migrated from one server to the cloud server, it is done in an encrypted file format so that even if it is stolen, appears as a trash to the third parties. The only way to avoid data being snooped while travelling between the corporate network and the external application is to encrypt it. Keep offsite backups in-house or at an alternate cloud provider so that data will be available after crash. Cloud Storage: Lack of time and resources for IT tasks can cause big headaches for overworked small businesses. Solution: Adopt cloud services to outsource IT tasks like data storage. Dropbox is a popular app for sharing documents and photos across multiple devices. MicrosoftSkyDrive offers the ability to replicate files on multiple systems. Subscription Plans: As opposed to paying up front for new systems to replace your current ones, cloud ware tends to work on a subscription basis. Your business can take some time to get used to the different charging model. Solution: Make sure you stay on top of costs and remember that although you won’t be paying the large upfront fees you may be used to, your subscription charges could eventually overtake. SMALL BUT ESTABLISHED BUSINESSES HAVE PLENTY TO CONSIDER WHEN EMBRACING THE CLOUD, BUT WE DON’T THINK THESE CHALLENGES WILL BE ENOUGH TO PUT YOU OFF MAKING THE DECISION TO GO VIRTUAL. THE CLOUD CAN BENEFIT YOUR BUSINESS – IT’S JUST A MATTER OF UNDERSTANDING WHAT EXACTLY YOUR REQUIREMENT IS. With successful planning and key considerations, your successful integration to the cloud is possible. Insight is already successful in integrating cloud services. With careful planning and a comprehensive security solution that’s custom fit for your encryption needs, organization’s reputation and brand will remain trustworthy. If you are struggling to pay for expensive licensing fees, dealing with aging hardware, and wishing you could add new staff to your IT team, cloud computing is the immediate solution. Learn how a move to cloud can benefit your non-profit? Maintaining an effective and secure on-premises IT infrastructure can be challenging for non-profits. Data and mobility requirements can stress aging infrastructures. This strain can create difficulties for non-profit IT leaders if they require additional resources to help expand their infrastructures to meet the emerging demands of end users. At the same time, non-profits are challenged to attract and retain qualified IT staff. Technologists with specialized experience in high demand areas, such as networking, security and database administration, command high salaries in the private sector. These budget and staffing challenges drive non-profit IT leaders to consider new and innovative approaches to computing. Existing on-premises IT infrastructure may be unable to support the rise of new consumer- and data oriented services. Yet, many non-profit IT leaders don’t have the budgetary resources needed to expand the existing infrastructure to meet emerging data needs and to sustain the staff necessary to manage it. For these reasons, many non-profit organizations are considering getting out of the data centre business altogether. Cloud services represent a smart option to help achieve this goal. Cloud-based solutions promise to help non-profit organizations overcome the limitations of on-premises infrastructure by leveraging the economies of scale found in sharing infrastructure with many other customers. As organizations begin cloud migration, they typically find that SaaS solutions, as an alternative to enterprise software purchases, offer the greatest early value because of the ease of implementation and degree of cost savings. Email storage and Voice over IP (VoIP) telephony are popular IaaS solutions for the same reasons. Both categories deliver mature technology solutions and offer non-profit organizations a low-risk option to get comfortable with the cloud. 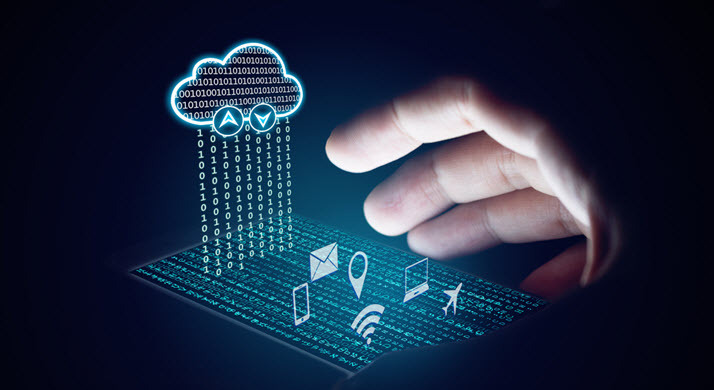 Many non-profits also consider the migration of their backup and disaster recovery operations to the cloud, which can deliver greater capabilities at a lower price point than can be provided with in-house solutions. Organizations also are exploring Desktop as a Service, a cloud offering that provides a virtual desktop environment with far fewer demands on IT infrastructure and staff. Other common migration targets include storage and web services. Many non-profit CIOs see the value of migrating to cloud services and want to embrace the change as quickly as their organizational culture and regulatory requirements allow. How non-profit can benefit from cloud? Many non-profit organizations rely on outdated software and legacy systems, mainly because of low funds and generally restricted access to cutting edge technology. But as organizations around the globe seek to replace their legacy systems, let’s look at the advantages cloud computing can have for a non-profit, and how it will impact operations. As users keep moving their business-critical applications to the cloud, they realize that there is a reduced need to upgrade their systems. Most of the processing power needed to run cloud-based applications is online rather than on an individual computer or on-site server; therefore, your data can be viewed as quickly on a hundred-dollar desktop as on a high-end laptop. Non-profits can now set up their IT infrastructure without having to depend as much on physical hardware. Cloud computing also requires less IT staff and expertise, allowing you to reduce dependency on technical support. Non-profits can now drive down the total cost of ownership of expensive servers and other IT costs because there is no physical server to maintain. The cloud also eliminates the tedious tasks of installing, maintaining, and upgrading software solutions every time a newer version is released. This reduces dependency on limited IT resources, freeing up employees to focus more on their core objectives. The cloud also reduces the risk of loss owing to stolen or lost data, allowing non-profits to access enterprise-level security software at a fraction of the cost to purchase it. Most often, it only takes a few minutes to set up a cloud computing account. This quick deployment saves on a lot of time for non-profits. One sector that can especially benefit from cloud computing is non-profit. Ironically, non-profit organizations (NPOs) often lag adoption of new technology, typically for budgetary reasons or simple resistance to change. Proponents of cloud computing within an NPO should keep the faith and continue to push for adoption. How Cloud based CRM can help your charity? Communicating the right message to the right person at the right time every time is at the heart of successful fundraising. To accomplish this, fundraising organizations need to know each donor personally. What are her interests and motivations? How does he wish to be contacted? How frequently does she donate, and what is her preferred method of payment? Cloud-based fundraising and nonprofit CRM software and services help nonprofits track and manage relationships and interactions, create more efficient processes, and make clear, data-driven, strategic decisions. CRM system is the single most important tool for your communications and your fundraising. CRM stands for customer relationship management but it can often be used more broadly to refer to the software that’s used. A Customer Relationship Management (CRM) system is the database where you’ll store all the info about your supporters. If it is based in the Cloud, meaning it is all accessible with a click of a button, it provides a user-friendly platform for managing customer relationships, storing relevant information and organising day-to-day operations. Cloud CRM refers to any CRM system that you access over the Internet rather than hosting it on your own computer. The software itself runs on computers in datacentres owned or rented by the CRM providers. CRM software can be used for managing interactions with your supporters; improving your communication and managing donors, beneficiaries and more. As your organization audience grows, it’s essential that your processes for interacting with your audience grows and matures too. CRM databases are nothing new in the non-profit, but recent developments in cloud CRM are making it easier to collaborate with your colleagues on managing your relationships regardless of physical or technological boundaries. How a CRM can help your charity? CRM systems generally offer clear information on your budgets, finances and targets. This is useful for internal members and means that when funders or trustees ask for reports you can quickly and easily provide them. Using your CRM system, you can also assign tasks, input plans to group calendars and track stages of development. What makes cloud CRM different? cloud CRM refers to any CRM system that you access over the Internet rather than hosting it on your own computer. The software itself runs on computers in data centers owned or rented by the CRM providers. This means wider accessibility, less risk of lost files, and room freed for your server to work optimally. By selecting a CRM that allows you to grow and build, this means you don’t have to keep changing and moving data once you’ve got going. Particularly with cloud-based options, providing the accessibility for everyone in your organisation (or those necessary) can hugely increase productivity. Since cloud-based CRM databases are hosted by the vendor, the vendor also manages product updates, security fixes, and server maintenance. In cloud CRM, you don’t need to worry about making sure your server meets the CRM’s hardware requirements. You only need to ensure that the computers your staff will be using to access the database are up to specifications, and since the remote server is doing all of the heavy lifting, those system requirements are usually very minimal. The days of having to use excel spreadsheets to hold and edit the endless amounts of data coming in are long gone. The most obvious advantage is the amount of time saved by making the most of the process automation system on Cloud CRM. Here, we can configure emails to automatically go out to contacts at a given time, set up systems to track and update our attendance to the programmes at a click of a button and have all the data and trends visible, and automatically updated, on our home page. CRM’s offers integration to a wide range of other apps and software on the internet. This allows for information to be shared and updated between the different software, making it easy to track email activity with contacts, to do lists and tasks. The biggest advantage of a CRM is having a single platform where data can be uploaded, stored, manipulated and analysed. CRM databases are nothing new in the nonprofit and library communities, but recent developments in cloud CRM are making it easier to collaborate with your colleagues on managing your relationships regardless of physical or technological boundaries. Successfully transitioning to a CRM may allow you to turn donors into board members, volunteers into donors, and email subscribers into advocates. Contact us for cloud based solutions for your non-profit. The business of loans has undergone significant change owing to the financial crisis and emergence of non-banking entities paving way for people’s money reaching borrowers at a much lower cost and with lesser hassles. Advancing technology and changing customer preferences are driving significant changes in Banking interactions. Banks need to continuously adapt and increasingly adopt technology to simplify lending to enhance reach and foster customer loyalty. With the dynamic market conditions & ever changing regulatory compliances, a robust intuitive technology for retail lending has translated into a need. To gratify the need, financial institutions are seeking solutions with the most adaptable architecture, one which can be configured for today and can adapt in the future. A perfect loan origination software can be one of the ideal solution to make retail banking more efficient. The Loan Origination System (LOS) is developed specially to support the loan application processing needs of banks and financial institutions. It employs workflow technology to control and monitor the various work steps in the loan processing and uses digital imaging technology to reduce the delays and inefficiencies in handling paper documents. The most essential feature of LOS is its Loan Application Processing Workflow. Each loan application is monitored from the time it is entered into the system, and tracked through the various work steps of credit review and approval process. LOS allows these work steps to be performed in different locations while maintaining control of the flow and making sure no required steps are being missed. LOS helps banks become more agile to be competitive; it helps them meet service levels without compromise on cost, thus delivering substantial return-on-investment. A perfectly built LOS can simplify the complete credit lifecycle across retail and commercial loans. Gain real-time access to relationship and loan information to increase transparency and visibility into the loan origination process. Increase process efficiency through product, entity and collateral specific automation, workflows, document management and scorecards. Manage customer during the life of the loan – covenants, annual reviews, manages changes in signatures, etc. How Insight Consultants can help you to maintain a competitive advantage in the loan cycle management? Achieving efficiency in loan life cycle management has been a challenge. Insight Consultants sets a milestone in its journey of technological leadership by successfully developing a flagship Loan Origination Software ‘CreditCore’, for its client 3530 Technologies. CreditCore is a full functioning, completely cloud hosted web based application which ensure a better experience to its users. CreditCore supports decisions across the entire retail lending lifecycle by automating origination and decisioning workflows, assesses credit risks, calculating pricings and manages the integration with third party data providers. CC is very much adaptable and responsive to the extent that organizations can independently run most of the changes without too much dependency on us. We know that the Banking processes, as well as, the information needed are unique. Compliance is stringent and that the needs of bankers are different. We understand that one size does not fit all and each LOS brings with it, its own set of “quirks”. Each “Off the Shelf” solution will not fully meet the needs of the customer. So, we will collaborate on the best solution that will work best for your business. The ever-changing, heavily-regulated, and competitive landscape of the mortgage sector demands solutions that are highly flexible and will provide organisations with the kind of operational agility required to not only achieve business objectives, but also ensure regulatory compliance. At Insight Consultants, we recognise and understand the challenges the mortgage industry faces, and we harness our technical expertise and industry experience to build and maintain next-generation lending platforms and business solutions across the mortgage lending life cycle. Our in-depth mortgage industry experience helps us to craft flexible solutions that keep up with industry trends and organisational objectives. We have technical expertise in building cutting-edge software applications for both small mortgage lenders and medium financial product companies, which uniquely positions us to help deliver desired results. We look at a client’s business problem in a systematic manner that eventually gives both, Insight Consultants and the client, a clear view of what’s required and why, what needs to be done about it, and how its impact in your organisation can be measured for success. We help you get a sense of your business, through Radical Rooting, our home-grown approach to help businesses place premium on the future value of a solution or idea before counting costs. 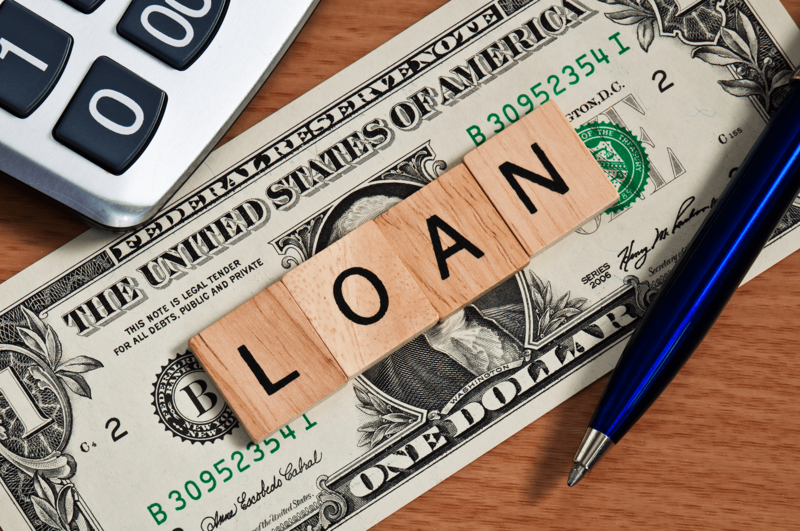 Reach out to us to maintain a competitive advantage in the loan cycle management. How to design a successful hybrid cloud? Hybrid Cloud, nowadays has become the best choice for many businesses as it is a blend of public cloud, private cloud and traditional information technology (IT) platforms. So here we will see how to design a successful hybrid cloud? With public and private cloud, it’s a fact that one cloud doesn’t fit every company. But for enterprises those prefer to go both with the straight-up economy and convenience of public cloud and added security and customization of private cloud, hybrid cloud is the best choice for them. Finding the right cloud technology begins with deciding what to move to the cloud and addressing the challenges affecting the migration. It is found that there are complications in running a hybrid cloud versus just a private or public cloud. So if enterprises are looking to use a hybrid of public and private cloud set-ups, what’s the best way to do it? How can a company try to get the best financial deal and still get the security and scalability it needs? The hybrid cloud model consists of at least one public cloud and one private cloud — but deployment is not very easy. Getting a successful hybrid cloud project off the ground means dealing with migration and integration challenges. Understanding how to get started on your hybrid cloud will be the key to success — from choosing a provider to planning and executing a migration. Assess your needs: Enterprises should discuss and decide on what do we need out of cloud. Decide whether you want to build your own or do you want to lease private-cloud space on a third-party service, do you have specialists who can handle this or should you get outside assistance from cloud consultants and other specialists? As per the requirements try to find answers for simple questions like this before embracing cloud. Choose the right vendors: Do a thorough research to find the right vendor. Check out the client’s stats on their reliability, security methods, their past work history etc. Security and compliance requirements: New solutions are being developed rapidly. Many cloud vendors provide comprehensive metrics and consumption activities, as well as tracking and monitoring capabilities. A company’s consumption pattern reports can often be used for audits as evidence of compliance. Categorize apps, data: Before moving to cloud, companies should depend on policies for what applications or data should be in a private or public cloud. The end result of having a hybrid system is it separates the company’s information and applications into categories based on where they need to sit in the cloud. So a critical step is to take an honest look at what you’re considering to move into the cloud and figure out how sensitive it is or how strategic it is to the core business. Estimated ROI: Cloud can definitely help your cash flow by eliminating the need for capital investment in new hardware. In order to get a measure of your cloud ROI, it’s important to calculate the total cost of ownership (TCO) for the on-premises first. This will help us put the cost of a cloud solution into perspective. Hybrid cloud can help to improve an organization’s operations by means of greater agility and speed, more effective reallocation of internal resources and better linkage between business and IT departments. While debate rages about privacy, cost and security issues of cloud computing, many IT pros agree the hybrid cloud is gaining ground and it offers the best balance of cloud benefits and risks. Businesses have plenty to consider when embracing the cloud. Though many challenges may arise it is just the matter of understanding what exactly the requirement is. We, Insight Consultants is already successful in integrating cloud services. We offer successful cloud enabled services to our clients and follow a structured approach to establish our client’s business needs, assess the underlying technology components like infrastructure, application, processes, policies etc and then deploy the appropriate cloud computing components. We were also successful in analyzing current state to identify opportunities for leveraging cloud computing, assess and recommend the optimal cloud orchestration solution set, migrate cloud ready applications and data to cloud environment, management of IaaS, PaaS, and SaaS components, managed services for a cloud environment etc. All these we perform through our own proprietary process called Radical Rooting. Through the different steps of Radical Rooting process, we not just help you to identify the right platform, but will stand along with you to make sure that it gives you a clearly identified value and also help you to measure if that was obtained. For best output we do performs an RCA (Root Cause Analysis) to find out the exact value or expected benefit that the proposed solution can bring to the table. Contact Us to know how best our Radical Rooting Technology can ensure your expected business benefits. Cloud adoption is booming as many enterprises are realising the true benefits and opportunities of being in cloud. Though more and more enterprises are exploring the benefits of cloud, companies with fully formed clouds might struggle to understand how their instances are working. Still concerned about how much they’re spending on the cloud, who in their organisation is spinning up cloud resources and how people are using those resources. Building a cloud environment is not very easy, it is not just choosing a technology. It’s important for organisations to develop a strategy to implement a successful cloud environment. Insight Consultants’ Cloud Adoption Strategy service aims to dispel the myths associated with cloud computing by working with you to understand your business and clearly identify how you can adopt the cloud. The end result is a tailored cloud adoption plan through which your business can obtain measurable benefits. We perform our own methodical process Radical Rooting to understand your requirements and come up with a proper solution. Through different steps of the process, we perform a Root Cause Analysis to find out the exact value or expected benefit that proposed solution can bring. As a solution partner, we believe we are equally responsible to ensure that all ambiguities are cleared before embarking on solution-finding. Here are 5 steps in your typical cloud adoption strategy. Research & Strategy: The introduction of any new technology or technology paradigm shift creates pressure on the organization. So it is essential that you understand your enterprise goals and objectives. Do a thorough research on the cloud essentials and the impact of cloud on IT. Understand the business value, IT feasibility and success factors for your organization to deploy your applications in cloud. Assessment & Planning: Assess your current state and quantify the benefits and efforts to move to cloud. Identify key requirements, concerns, controls and constrains for cloud plan. To ensure a smooth transition to cloud computing, an organization should develop an overarching cloud strategy which creates the foundation for project-specific adoption. Should plan to leverage existing collateral with software as a service (SaaS), infrastructure as a service (IaaS) and platform as a service (PaaS) strategies. Also review applicable deployment models, reference architectures, enterprise application and infrastructure. Adoption & Migration: While moving to cloud, it is mandatory to understand available cloud computing and adoption standards. This includes NIST guidelines, Open Stack adaptability and portability standards as well as methodologies for migrating applications. In this phase, develop application migration strategies, identify the servers, the data stores and software to realize migration road maps. Evolution & Transition: Invariably, organizations hit a stage where cloud adoption matures beyond initial experimentation and is used for mission-critical workloads and assets. At this stage, cloud service management is crucial to extract the true benefits of the cloud and make cloud operations manageable. Optimizing business processes and software licenses will help you realize the benefits of improved organizational efficiency to provide increased value to the organization and the customer. Each organization’s cloud adoption journey will be unique. Your particular circumstances, priorities and obligations will shape the path you take and determine how best to plan and adopt new technologies and environments. Cloud Computing offers many benefits and Cloud does help solve some problems better than before, but it will not work in every scenario. At Insight Consultants, we carefully look at not just the medium and the technology, but also the problem that our clients expect to see solved at the end of the project they engage us for. If you’d like us to study your requirements and evaluate whether a cloud based solution will work for you, please Contact us. When it comes to emerging technologies, there is one word that has drawn more controversy than others: The Cloud. With cloud replacing infrastructure, hardware and software, it is ultimately changing the face of IT. It is a game changing phase of IT that is not just a passing phenomenon but a reality that has just begun to realize its potential. As a small business owner, you are always looking for an advantage, for an edge, for the next opportunity to ensure your own success. 50% of large enterprises have already deployed cloud in their organizations. Whether your company is medium or small, there are many benefits to be gained from cloud. In today’s rapidly changing world, how companies can make their cloud success a reality? Here are five tried and proved ways that cloud supports business success. Businesses are always interested in finding ways to achieve the same business goals faster and less expensively. Cloud Computing is undoubtedly the most cost-efficient method to store and process data. As efficiencies improve, however, new opportunities reveal along with that – not only to do the same things better but to perform entirely new tasks altogether. When you’re in the cloud, you can access computing resources on demand. For startups, this capability offers the freedom to create and experiment without making a huge investment in servers or IT staff. It also provides a way to seamlessly handle surges in demand. The cloud offers a way to manage a sudden flood of usage without forcing the company to buy servers that might sit idle once the peak passes. Cloud explodes the business possibilities. Cloud is nearly compatible with everything. If you want to offer a new service, using the cloud as the delivery platform makes your offering immediately interoperable with would-be customers using any variety of devices, operating systems, and networks. When access to almost anyone and everyone has opened up, business possibilities explode. Cloud–based backup and storage very much support business growth. No complaints about low storage space anymore! Cloud offers unlimited storage capacity. Several cloud services offer scalable backup and storage to easily accommodate additional employees and computers. Not only its cost efficiency and flexible computing resources, cloud computing also holds the potential to redefine the relationship between corporate IT departments and business units. It is these drivers that made cloud computing shift the paradigm of how Information Technology is used nowadays. Insight Consultants are already successful in integrating cloud services. Insight offers successful cloud enabled services to our clients. We follow a structured approach to establish our client’s business needs, assess the underlying technology components like infrastructure, application, processes, policies etc and then deploy the appropriate cloud computing components. We were successful in analyzing current state to identify opportunities for leveraging cloud computing, assess and recommend the optimal cloud orchestration solution set, migrate cloudready applications and data to cloud environment, management of IaaS, PaaS, and SaaS components, managed services for a cloud environment etc. For best output we do the required changes across people, process and technology, and accelerate the transformation of IT to an on demand, service-oriented environment.